WHO WILL BE CUTTING/COLOURING MY HAIR? Melanie is a new member to our team, she is part way through her first year of her Level 2 Hairdressing and has joined us to complete her apprenticeship to become a Salon Designer, check out her bio for more information about Melanie. (Please allow a minimum of 3 hours for all services, long thick hair may take longer). For bookings either call 01202 868877 or come into the salon and speak to one of the team. Please note model bookings cannot be booked online. 24 hours notice is required to cancel the appointment, failure to do so may result in loss of the deposit and risk of no future model bookings. For cancellations either call 01202 868877 or email info@prettysoulhairandbeauty.co.uk. All models will need a full consultation with both the teacher and Melanie, we will endeavour to achieve all colour and cut requests, however as a model sometimes colours/cuts are not always perfect your understanding of this is appreciated. A skin test will be required 48hrs prior to the colour appointment if you have not had a colour in our salon in the last 6 months. 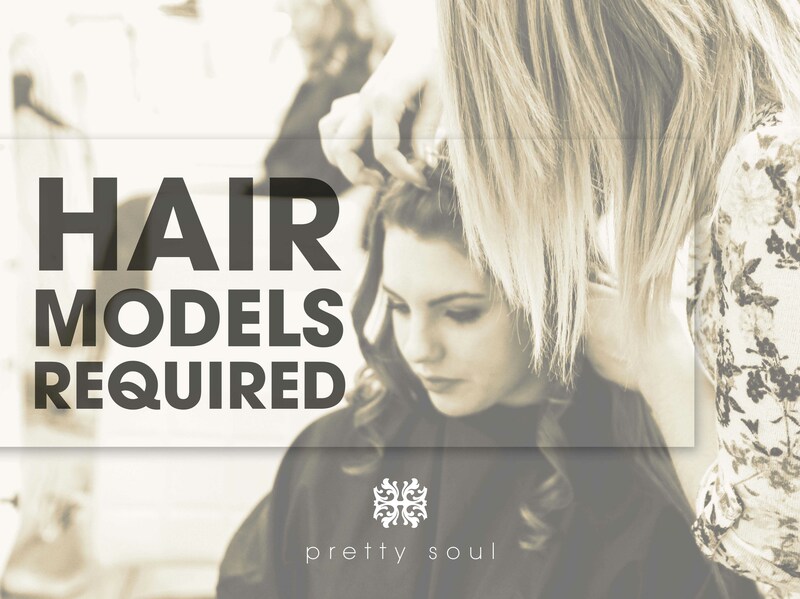 Pretty Soul Hair & Beauty may refuse any cut or colour service in certain circumstances. All models must be over 16. INTRODUCING PRETTY SOUL HAIR & BEAUTY (NEW MILTON) Text to come.